The crochet herringbone half double crochet stitch pictorial is a stitch you can use for many projects as it is so easy to do and creates a lovely textured pattern that is great for blankets, place mats, cushion covers etc. 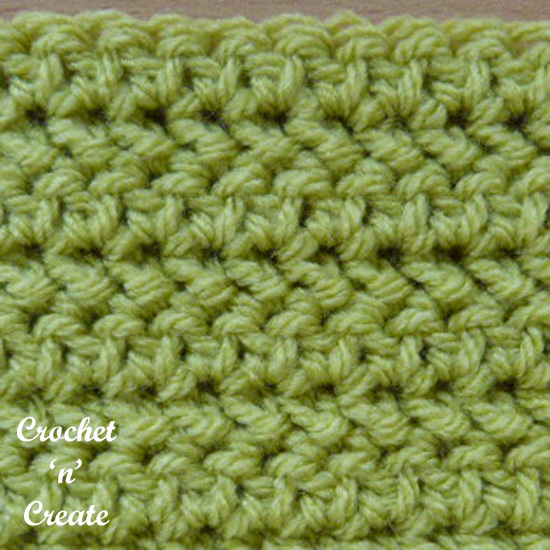 I have made step by step pictures on how to crochet this lovely stitch below. See my Piggyback and Two Cluster stitch pictorials. This entry was posted in Crochet Stitches, crochet tutorial and tagged crochet, crochet stitches, free crochet patterns, herringbone half double crochet stitch on 25th March 2018 by crochetncreate.